Welcome to DIY Taiko! This is a page where I, Chung Wan Choi, record the development of my various DIY practice drums. It all started when I build a practice odaiko, which basically changed my life. Because of this drum, I became a fellow at Taiko Center of the Pacific. I got to know a lot of serious taiko learners, but most of them have hard time to practice between their weekly classes. For many taiko students, access to individual practice is commonly limited; most people just can't afford a real drum plus the storage space. For many who wanted to bring taiko to the classrooms and communities, initial investment on numerous taiko drums can be difficult to pitch. 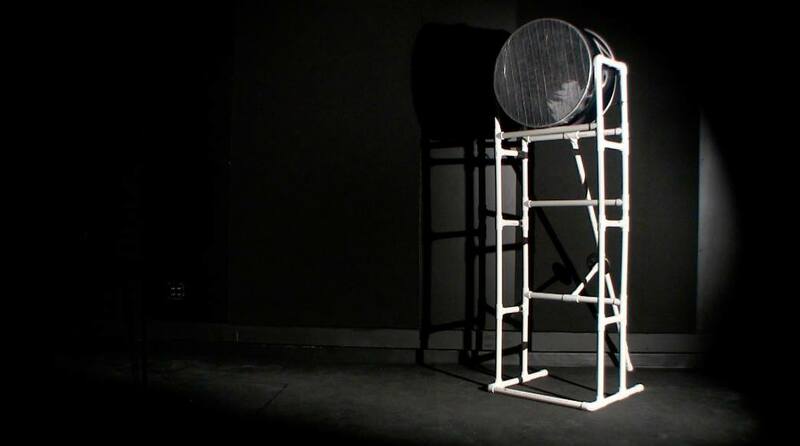 The goal for DIY Taiko is therefore to develop affordable ways to increase access to playing taiko. Tire drums are relatively easy to make, but it is not ideal for all practice, such as naname. Good foundation (kata) is important and therefore all DIY Taiko projects are designed to be play just like real taiko drums with good kata; nothing is perfect, and I'll make sure to inform everything you need to know. People frequently call for tutorial for my DIY Taiko drums. As much as I would love to share the knowledge, it requires material expanse and many hours of work. Your support will enable me to produce instructional video! When time comes and you are ready to make practice drums, all you need will be right here waiting for you! 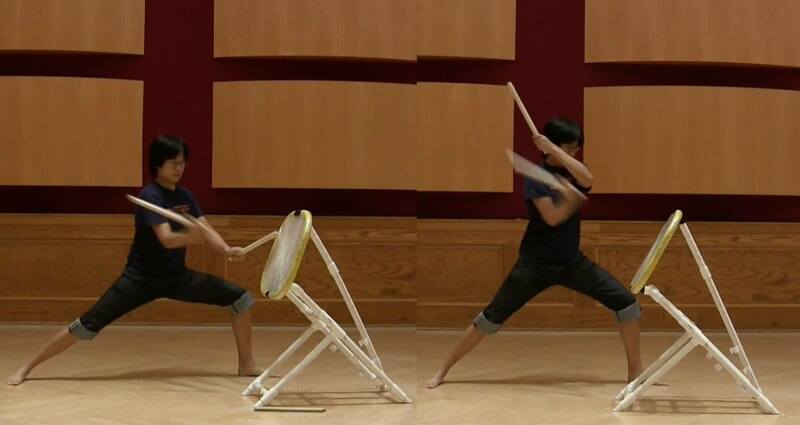 DIY Taiko is not limited to making practice drum. 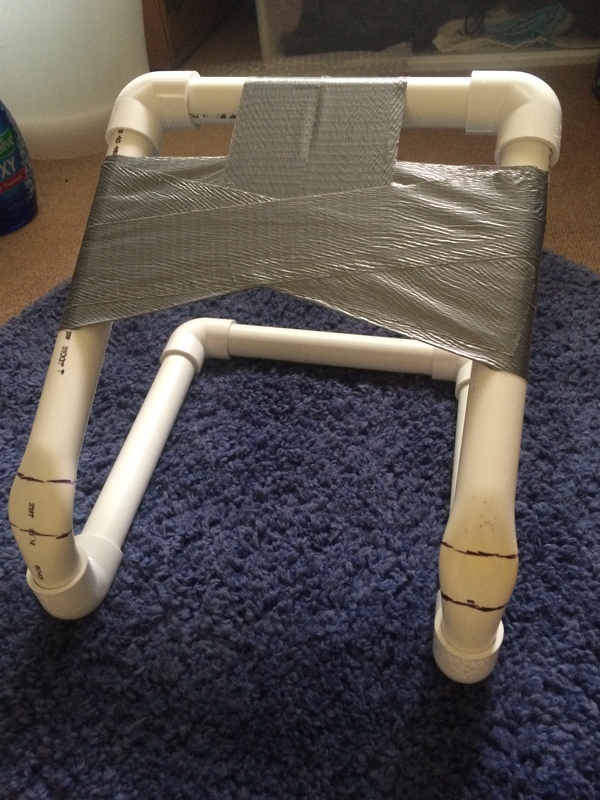 It could be DIY in all aspect of taiko. Chung loves to draw, compose and do sound recording. They are all subjected to potential future projects! 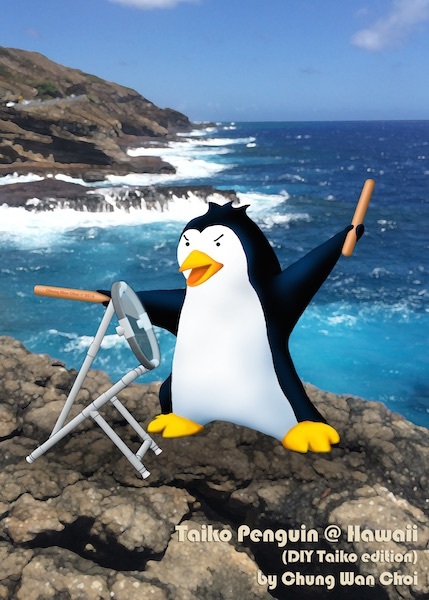 I will mail you a Taiko Penguin postcard! 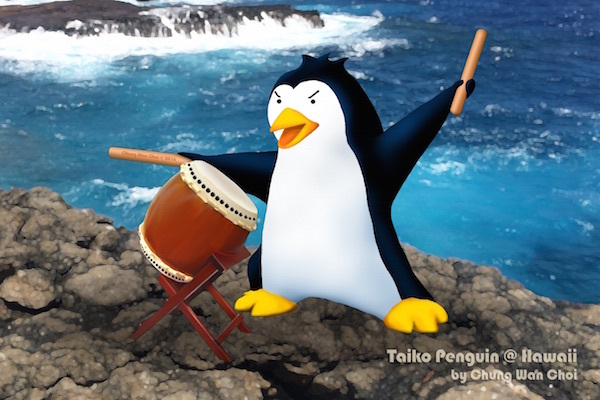 I will mail you a Taiko Penguin postcard & whenever new ones are printed! Own a PVC conch shell! 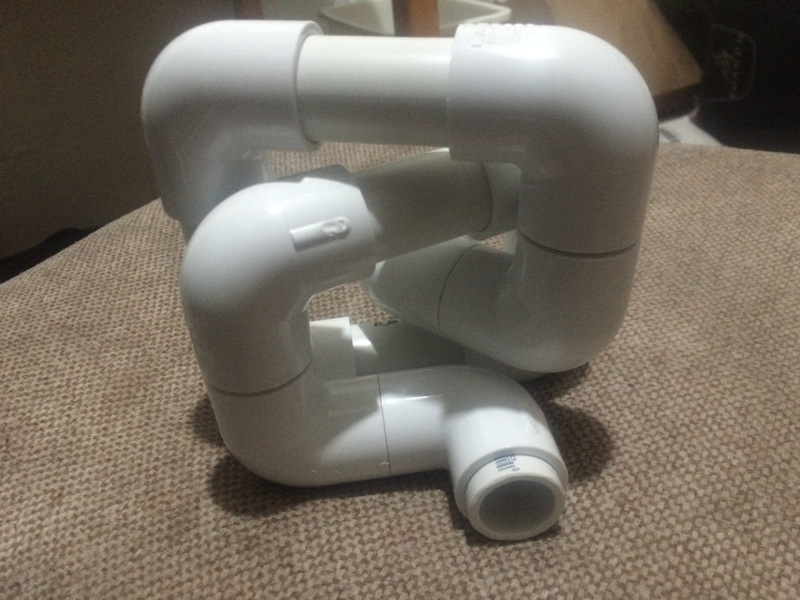 When this goal is reached, I will start producing PVC 101 for DIY Taiko projects! All projects require certain technique, tools and handling. These video will show what to prepare before making practice drums!